Former President Olusegun Obasanjo on Friday bagged the award of Doctor of Philosophy (PhD) in Christian Theology from the Department of Religious Studies, Faculty of Arts of the National Open University of Nigeria(NOUN), Abeokuta Study Centre, Ogun State. 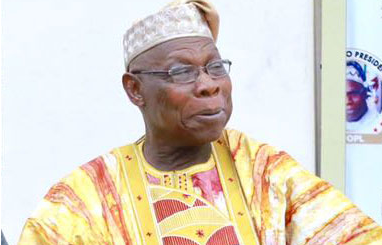 Obasanjo was pronounced worthy and competent for the award after 163 minutes robust defence of his voluminous thesis before a six – man panel. » Liverpool Line-Up £60m Bid for PSG Striker Edinson Cavani as Luis Suarez Replacement.